Corrosion-resistant ball mount is 7-1/4" long and fits 1-1/4" x 1-1/4" trailer hitch receivers. 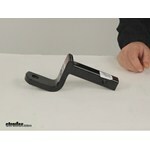 Call 800-298-8924 to order Curt ball mounts part number C45521 or order online at etrailer.com. Free expert support on all Curt products. Guaranteed Lowest Price and Fastest Shipping for Curt Class II Drawbar - 2-5/8" Rise, 3-1/4" Drop - 7-1/4" Long - 3,500 lbs. Ball Mounts reviews from real customers. Today we'll be reviewing part number C45521. This is a Curt Class II Drawbar, rated at 3,500 pounds, made from a nice sturdy steel construction and we do have the nice solid shank here on the backside of our mount. It does have a corrosion-resistant black gloss powder-coat finish, so it is going to stand up well against rust and corrosion. Now these mounts go through a high-quality manufacturing process. This one is CNC machine for strong, consistent custom welds. It also goes through a 7-stage washing method that's really going to help deliver a nice, smooth, clean surface. 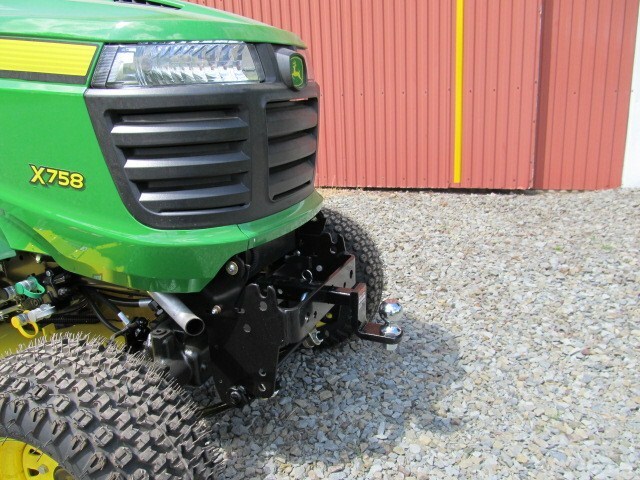 With this ball mount both the drop and rise positions are available to help ensure a more level tow. This is designed to fit an 1 1/4" by an 1 1/4" trailer hitch receiver and because of its weight rating at 3,500 pounds, this is Class II compatible. It can provide us with a maximum tongue-weight capacity of 350 pounds. Now one of the important things to keep in mind when choosing a hitch ball accessory or a hitch ball is you want to make sure that the shank on that accessory does not exceed your ball hole diameter. In this case, we have 3/4" to work with. The distance from center of our hitch pin hole to the center of our ball hole is going to measure right at 7 1/4". The distance from the hitch pin hole to the back of the upright portion of is going to measure about 4". You just want to make sure you have enough room at the back of your vehicle, especially if you're going to be using this in the rise position. 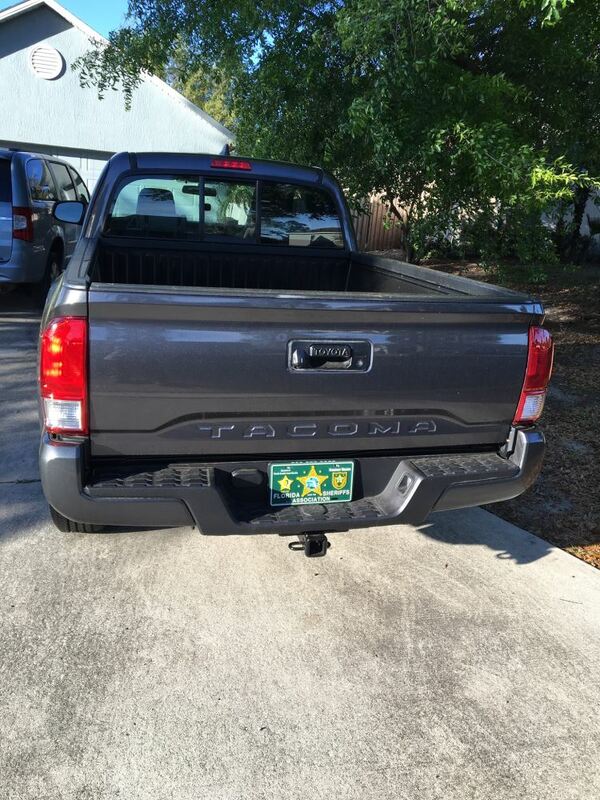 You want to make sure that you have enough room from where it mounts in the hitch to make sure it doesn't make contact with your bumper. So, again, this is available in the drop or rise position. With installed in the drop position, which is this position shown, you're going to have a drop of 3 1/4". That's measuring from the inside top edge of your receiver tube to your ball platform. If you install this in the rise position and perform that same measurement from this point here, to this point here, you're going to have a rise of 2 5/8". The shank is the portion that's going to slide into the receiver tube of our hitch. You would then need a 1/2" pin or clip, or hitch pin and a lock to secure it to your vehicle. Those are available, but sold separately. You can refer to etrailer.com to view those products. That's going to complete today's review of part number C45521. 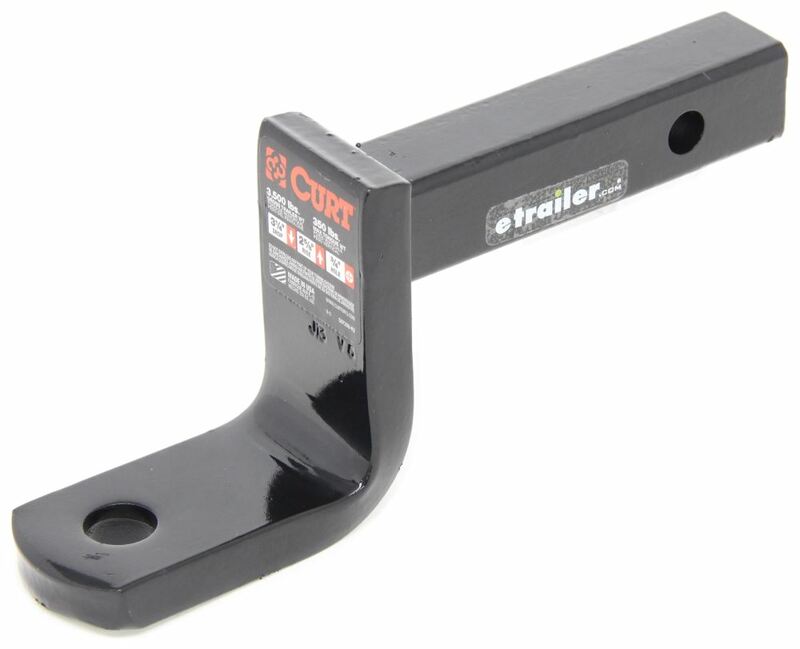 This is the Curt Class II Drawbar, rated at 3,500 pounds. .
Order: RelevanceNewestRating - High to LowRating - Low to High Corrosion-resistant ball mount is 7-1/4" long and fits 1-1/4" x 1-1/4" trailer hitch receivers. Still great products with no issues. The hitch and ball mount have worked out great for me no issues. Philip, Thank you for your review. If you need a standard pin and clip for this ball mount I would recommend part F-4. If you would like a locking pin I recommend part RH2-XL. The best pin and clip for this draw bar is Curt Class I and II Pin and Clip part F-4. They have been great, no issues at all. Thanks for following up with me. Everything worked well. Is Towing Recommended With My Ford C-Max Hybrid? Yes, I spoke with my contact at Curt and the Curt Hitch part # C11408 that you referenced has been confirmed to fit the STI versions of the 2015 Subaru WRX so it will work for you. For a ball mount you would want part # C45521, 1-7/8 inch hitch ball # 19256, 2 inch hitch ball # 19258. For trailer wiring you would want the part # C56259. 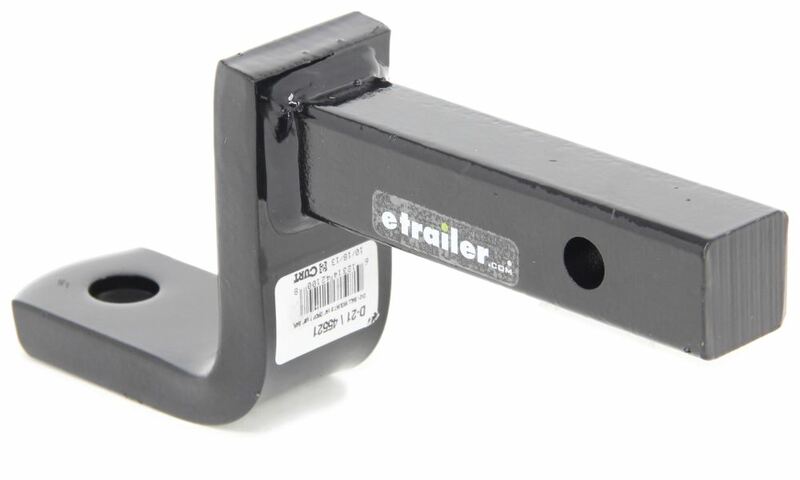 For your 2007 BMW 335i Sedan we have the Curt hitch part # C11756 which is a confirmed fit and would work well for towing a smaller trailer. For wiring you'd want the part # C59496 which I attached an install video for. For a ball mount you'd the # C45521 and for a 2 inch ball part # A-82. 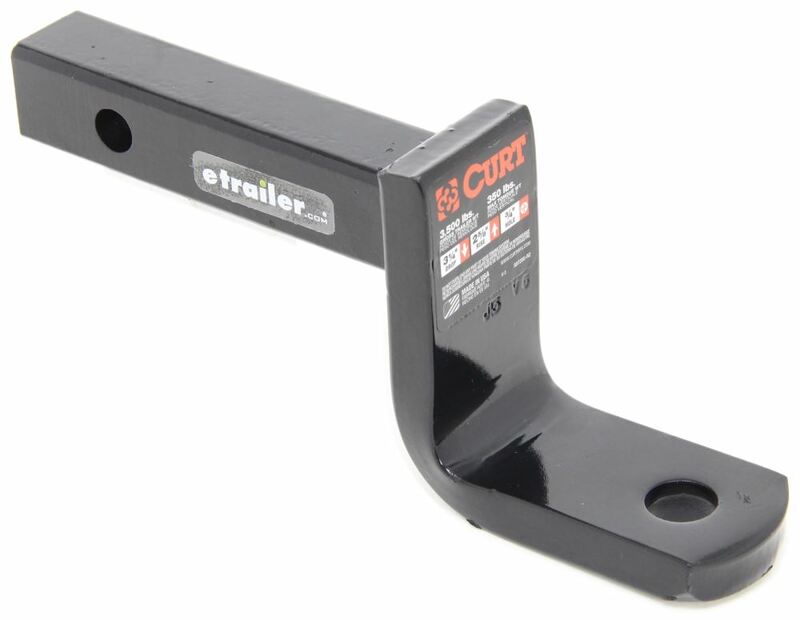 The Curt Trailer Hitch, part # C11701 is designed to be a fit for a 2005 or 2006 Mercedes-Benz E320 Sedan. This is a Class l hitch and it has a 1-1/4 inch receiver opening. The recommended ball mount is part # C45521. For the hitch ball use either the 1-7/8 inch # 19256 or 2 inch # 19258. The wiring harness you can use is part # 119250KIT. Yes, we do carry hitches that are confirmed to fit your 2015 Ford Fiesta. If you have hatchback (excluding ST) then you would want the Curt Hitch part # C11067. 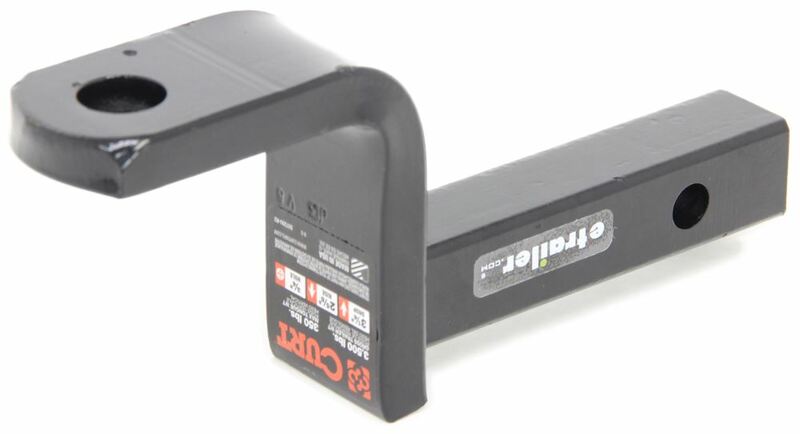 If you have a sedan you would want the Curt Hitch part # C11369. For a ball mount you would want the part # C45521, pin and clip part # F-4, 2 inch ball # A-82, 1-7/8 inch ball # A-82. If you have a sedan you would want the part # 56047 for trailer wiring. We don't have a fit yet for the hatch models yet.